Wincanton Close (off Ascot Drive), Derby. 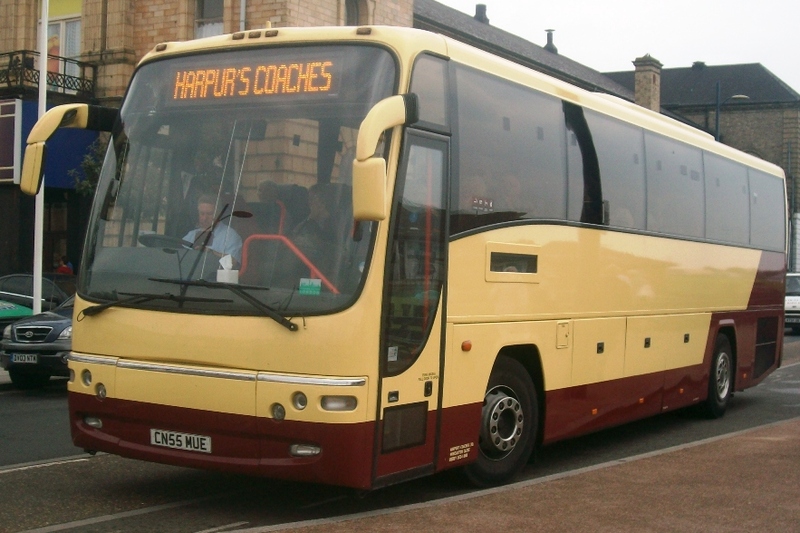 Harpurs Coaches are based in Derby and offer coach hire for almost any occasion. A variety of work is undertaken including private hire and several schools contracts. Volvo Plaxton Paragon (CN55 MUE). S851 DGX Volvo Olympian/East Lancs ex Chambers, new to Metrobus. Arrived Nov 09. LNU 571W Plaxton/Leyland Leopard ex Harrison & Brunt, Derby 5/00. Now preserved. If you have any corrections to the information above, or anything to add please let me know by clicking HERE. Choose and click below to go to another operators page.